Emily Blunt, Josh Brolin, Benicio Del Toro et al. DVD: 116 min., Blu-ray: 121 min., 4K Blu-ray: 121 min. In Mexico, Sicario means hitman. In the lawless border area stretching between the U.S. and Mexico, an idealistic FBI agent, Kate Macey (Emily Blunt), is enlisted by an elite government task force official (Josh Brolin) to aid in the escalating war against drugs. 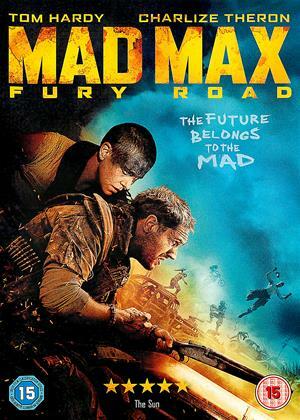 Led by an enigmatic consultant with a questionable past (Benicio Del Toro), the team sets out on a clandestine journey forcing Kate to question everything that she believes in order to survive. Villeneuve knows how to inject tension into a scene, as in Prisoners, but this film lacks the narrative drive of that superior film and develops into something of a low-key procedural (compare Bigelow's Zero Dark Thirty). It also has a glaring default at the heart of the story. After a bright opening, our heroine (Emily Blunt) is never anything but a bystander and completely disappears from the final act. We're half an hour into the film before even she knows what she's doing in it. Her co-star, the mysterious del Toro, is seriously underwritten (apparently at his request) but eventually turns action-man to deliver a rousing climax. Most unattractive, superfluous and annoying feature: our heroine's constant gasping for a cigarette. Did the producer pocket some lobby money? Hopefully Emily will not take up the cheap gun again. Normal group of official CIA and FBI running totally amok, oblivious of any limitations set by money, or munitions, or any apparent upper control strata. Emily Blunt plays a terrific role as Kate, a law abiding police officer, who wants to play it strictly by the book. Volunteering for a covert operation against the drug cartels of mexico, thinking she has been offered the job for her experience in the field, the operation is far from the letter of the law which she wants. Drafted in for this operation is the mysterious, loquacious, play by his own rules Del Toro (also excellent in the role). A gripping film, with two great performances by the afore mentioned leads. I recently applauded the film "A Most Wanted Man" for being completely unlike the usual gung-ho, bang 'em, shoot 'em up Hollywood thriller, but here is a Hollywood offering that, despite the violence, is almost as good - a really engaging, fair-minded and realistic look at the USA's war on the drug cartels. Emily Blunt is rapidly becoming the 'go-to' actress for challenging female roles, and here the challenge is to make her character, nominally the main lead, relevant and meaningful when in fact she is just a small pawn in a far bigger story/game. This she does very well. 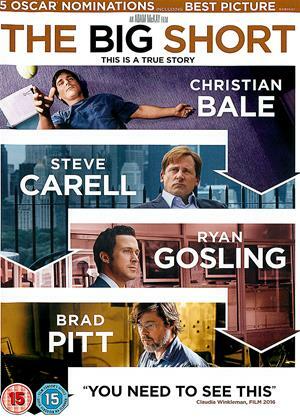 The story deliberately exaggerates her being sidelined because that is the point - she is the law-abiding FBI officer being used as cover for a highly illegal operation - and watching her growing concern and impotence as she gradually realises what is happening is what gives the movie its edge. 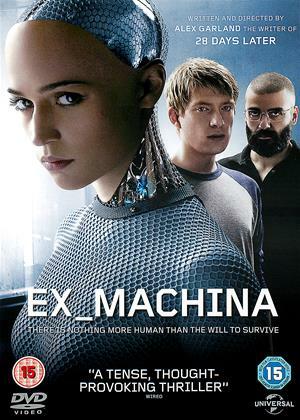 The story that flows around her is well written and believable; the stock characters, shady good guys, normal folks who get run over, etc, are all better represented than usually in such films. And, hey, even the violence, graphic at times, seems reasonable in the context of the reality of this "war". 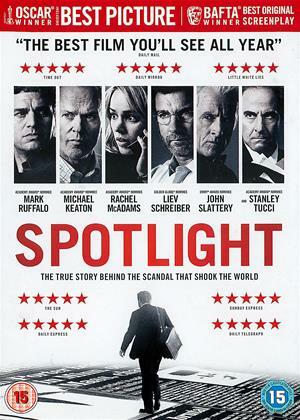 Definitely one of the better Hollywood thrillers of recent times, enjoyable and eye-opening in equal measure. 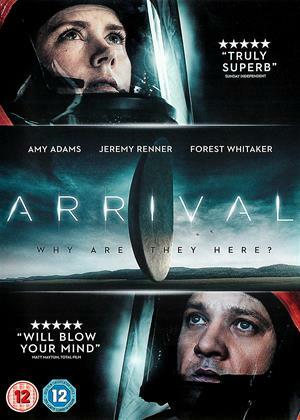 Director Denis Villeneuve has a way with approaching tough topics which beg more thought than simple solutions. With Sicario, he spins a harsh tale of the drug war in Mexico that continues to grow violently out of control. It’s a messy web constructed of drug lords, gangsters, undercover agents, political agendas and questionable loyalties. All the essential elements twist and contort to keep the web from either expanding or falling apart. There is a sense of dread and helplessness to an ever-complicated issue, shrinking honest and justice-driven individuals down to a level where the smallest victories are bitter sweet. Similar to how Villeneuve’s other crime thriller Prisoners, he digs deep into some complex and layered characters. Emily Blunt plays FBI agent Kate Macer as an eager member of the law who wants to prove herself in Mexico. She tags along with the CIA in hopes that she can do the right thing and take down the bad guys. She doesn’t realize how tough this is until the ceiling starts to tighten around her investigation. Matt Graver (Josh Brolin) is the CIA undercover agent that tries to show her the ropes of staging an operation against the cartels. He knows the tricks, the tactics and the language of how and when to strike. He does his best to maintain his cool in situations involving dangerous suspects in the field and behind closed doors. Their relationship echoes that of Training Day, but then there is the wildcard of Matt’s partner Alejandro Gillick (Benicio del Toro). Gillick is a quiet man who represents the darker aspect of orchestrating undercover operations. Whereas Matt will smirk at a suspect the way he attempts to extract information with his talkative methods, Gillick coldly goes straight for the physical in a very intimidating manner. While in the field, Gillick makes several odd choices to not so much take down the bad guys, but attain what he personally seeks. Revenge is obviously on the table, but his methods for getting to his bloody satisfaction is one that is more calculated and off-putting. He’s the unique anti-hero that is more in tune with playing the game of keeping things balanced in the uncontrollable world of Mexican cartels. There’s an eerie intensity to this entire operation, showcasing characters that are more or less than they appear. The politics and loyalties become murky and muddled as violence mounts. Walking the line between a crime drama and a vigilante tale, shades of grey become primary colors in a war that appears hopeless to resolve. Who was right and who was wrong becomes less about their immediate actions and more about the bigger picture. That picture just happens to be a rather ugly one smeared with red and white. 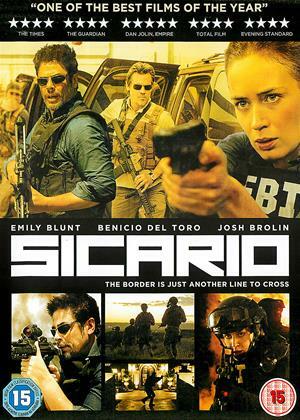 Rather than keep all the actions bloated and confusing as was the case with Syriana, the plot of Sicario appears more mysterious in its characters than their operations. The cartel game is complex enough to be an unwinnable war, but not so tricky by piling on too many players from various angles. We are essentially following four key players on sides both clear and ambiguous. It’s not so much a lesson in the specifics of this war, but how individuals involved shape the landscape. From the cartel leader who values his family to the wronged man who has shed his ethics in working with law enforcement, their actions keep the wheels turning forever. The action in Sicario is tight and tense with shootouts both brutal and subtle. During a drug search, a violent gunfight occurs with the slightest blink. Later on, Emily Blunt and Josh Brolin find themselves gunning down cartel members in underground tunnels, but most of the firing seems to be from a distance. Shots can be heard in the distance as Blunt slowly inches forward fearing who to shoot and when in the darkness. Even the climax of the picture when Benicio del Toro commits a cold execution on a family has a certain grace with its dark nature. Sicario is an uncompromising cartel thriller that serves up complex characters and no easy answers. Similar to how the situation is currently playing out, there is no happy ending where the good guys get the bad guys. It’s more as though the good guys kill enough of the bad guys to bring a certain balance to the never-ending crime world. It’s a world where the lawfully devoted find themselves restrained and the ethically adrift find themselves numb. Denis Villeneuve brings what could have been a substandard cop drama up to a level that breathes with an uneasiness and intensity. It’s the exact tone that should be taken for a distressing topic that doesn’t deserve to be presented as a run-of-the-mill crime thriller.